It is repeated in the Quranic text the fact that God does not love aggressors, the unjust, and unbelievers, as well as people with certain negative traits. To exemplify this, we quote the following verses: "…God does not love the aggressors." (2:190), "…God does not love any sinful ingrate." (2:276), "…God does not love the unjust." (3:57), ''…God does not love the evildoers.'' (3:140), and "God does not love the arrogant showoff." (4:36). The verb (hate) pertaining to God occurs once in the Quran: "Had they wanted to mobilize, they would have made preparations for it; but God hated their participation, so he held them back, and it was said, "Stay behind with those who stay behind."" (9:46). But the term (maqt) means ire or wrath mixed with hatred and repugnance. Here, we will examine the Quranic contexts of this term. 1- Concerning indecencies: in prohibiting marrying one's father's widow or divorcee. "Do not marry women whom your fathers married, except what is already past. That is improper, indecent, and a bad custom." (4:22). This type of marriage was permissible in the pre-Islamic era, and in the Quran it is described as improper, indecent (i.e. maqt), and a bad custom. This is severe prohibition in the Quran. This means that even a marriage contract of that type is never permissible. Marriage in Quranic terminology means in general marriage contracts. It is understandable that this type of marriage is not lawful in Islam because it permits corruption in lineage (could possibly a woman begets progeny from her husband and his son?! ), and it makes the distinction between humans and animals dissolved. 2- Concerning unbelief: "It is He who made you successors on earth. Whoever disbelieves, his disbelief will recoil upon him. The disbelief of the disbelievers adds only to their Lord's disfavor of them. The disbelief of the disbelievers adds only to their perdition." (35:39). Maqt here is disfavor. The unbelief of humans increases God's hatred and repugnance toward them; they choose unbelief of their own free will and live with it. 3- Concerning arguing against God's revelation in the Quran: this is the worst type of behavior that provokes the ire and wrath of God (i.e. maqt). People who commit such a crime are the proud unjust ones who cannot be guided. There is no hope for them: "Those who argue against God's revelations, without any proof having come to them-a heinous sin in the sight of God, and of those who believe. Thus God seals the heart of every proud bully." (40:35). The Muhammadans are easy-going toward arguing against the Quran and preferring human fiqh and man-made theology and jurisprudence instead. Leaders of the Qorayish tribes used to prevent others from listening to the Quran, and they used to listen to it to deny it and try to find faults in it. They used to argue against the Quran before Prophet Muhammad: "Among them are those who listen to you; but We place covers over their hearts, to prevent them from understanding it, and heaviness in their ears. Even if they see every sign, they will not believe in it. Until, when they come to you, to argue with you, those who disbelieve will say, "These are nothing but myths of the ancients." They keep others from it, and avoid it themselves; but they ruin only their own souls, and they do not realize." (6:25-26). That is why their hearts suffer aversion and animosity toward the Quran and therefore cannot be guided by it like true believers: "We send down in the Quran healing and mercy for the believers, but it increases the wrongdoers only in loss." (17:82). The adherence and staunch belief of the Muhammadans in the so-called theology and hadiths (narrated sayings falsely ascribed to Muhammad) and preferring such falsehoods to the divine revelations in the Quran is considered arguing against the Quran. They erroneously believe that the Quran is subservient to their hadiths and Sunnite notions. Their false notions are preferred to them and revered by them instead of the Quran. Their false notions are their criteria to judge the Quran! How come a mortal's views, like Al-Bokhary, are held by them as criteria to judge the Quran?! If contradictions do occur, which is often the case, between Al-Bokhary tomes of hadiths and the Quran, the Sunnite Muhammadans' clergymen prefer his tomes to the Divine Book: the Quran! They annul the application of the Quranic verses as a result! 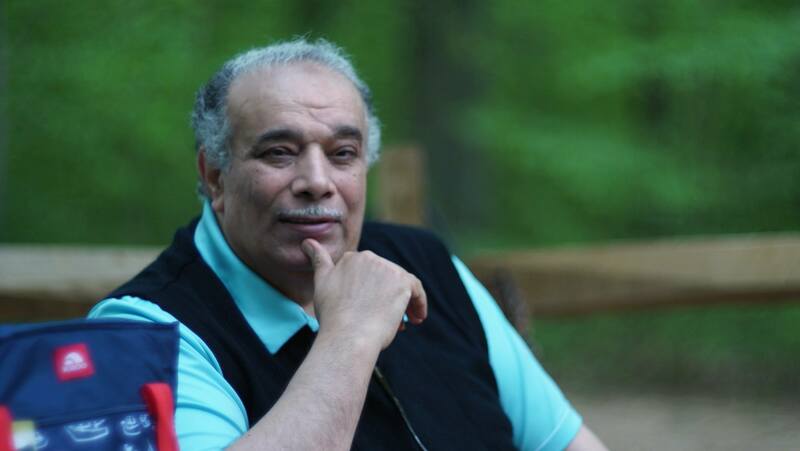 We, Dr. Ahmed Subhy Mansour, have refuted such false views in countless articles and books, proving from inside the Quran that the Quran is the only discourse in which a believer ought to believe in Islam. Yet, the Muhammadans prefer the methodology of the Middle-Ages tomes written by ancient theological scholars and imams in distorting meanings of Quranic verses to comply with their notions. 40:35 apply to past and present Muhammadans. Such type of misguidance was present in the times of Prophet Muhammad and until the Last Day. God asserts in the Quran that this bad custom of arguing against the Quran happens in all societies: "Among the people is he who argues about God without knowledge, and follows every defiant devil. It was decreed for him, that whoever follows him, he will misguide him, and lead him to the torment of the Blaze." (22:3-4). "And among the people is he who argues about God without knowledge, or guidance, or an enlightening scripture. Turning aside in contempt, to lead away from the path of God. He will have humiliation in this world, and on the Day of Resurrection We will make him taste the agony of burning. That is for what your hands have advanced, and because God is not unjust to the servants." (22:8-10). "…Yet among the people is he who argues about God without knowledge, without guidance, and without an enlightening Scripture." (31:20). Thus, the Quran judges such people as unbelievers: those who argue against the Quranic verses to prefer the sayings of deified imams and clergymen, past and present, and to elucidate this fact further: "None argues against God's revelations except those who disbelieve. So do not be impressed by their activities in the land." (40:4). Countless Muhammadans famous clergymen appear in the media and their lives is bustled with activities and travels. The verse 40:4 applies to them like a pair of gloves! They are like devils, or rather, human devils and enemies of Prophet Muhammad: "Likewise, We have assigned for every prophet an enemy-human and jinn devils-inspiring one another with fancy words in order to deceive. But had your Lord willed, they would not have done it. So leave them to their fabrications.So that the hearts of those who do not believe in the Hereafter may incline to it, and be content with it, and that they may perpetrate whatever they perpetrate." (6:112-113). The term (fancy words) here refer to their preferred theological notions of heresy to deceive people and gain money, and their intentional ignoring of the Quran for that purpose. How come one would prefer falsehoods to the Quran?! ""Shall I seek a judge other than God, when He is the One who revealed to you the Book, explained in detail? "…" (6:114). Such enemies of Prophet Muhammad have the same Satan-like traits like pride and arrogance. They shun the Quran and turn away from it by their heads in a way similar to Satan when he refused arrogantly to prostrate to Adam, disobeying God. Thus, they turn aside in contempt for the Quran; see 22:9. We are to seek refuge in God from such human devils as we do against the devils: "Those who dispute regarding God's revelations without any authority having come to them-there is nothing in their hearts but the feeling of greatness, which they will never attain. So seek refuge in God; for He is the All-Hearing, the All-Seeing." (40:56). Such unbelievers cannot be absent in the Day of Resurrection and in Hell torments: "Those who dispute Our signs know that there is no asylum for them." (42:35). "Have you not observed those who dispute regarding God's revelations, how they have deviated? Those who call the Book a lie, and what We sent Our messengers with-they will surely know. When the yokes are around their necks, and they will be dragged by the chains. Into the boiling water, then in the Fire they will be consumed." (40:69-72). "Consumed" here in Quranic terms is the verb (yusgarun); its noun (sagr) means in the Quran the case when boiling water is turned into fire in Hell that torments forever dwellers of Hell. Hence, sticking to the deification of Al-Bokhary and his notions and his likes of mortal gods deserve endless suffering in Hell. 4- Maqt (wrath and hatred of God) in the Quran is a warning to the believers against saying what they do not do: "O you who believe! Why do you say what you do not do? It is most hateful to God that you say what you do not do." (61:2-3). Yet, most Muhammadans say what they will not do or perform and say what they do not believe in. they claim belief in Oneness of God; yet; they deify countless mortal gods beside Allah. They deify Muhammad and have fabricated a divine character to him after his death, contrary to his real character as manifested in numerous Quranic verses. They deify his companions and contemporaries as well as the so-called saints and imams. That is to say, the Sunnite, Shiite, and Sufi Muhammadans worship, sanctify, and revere thousands of mortals as gods and and demigods. They claim that they are true Muslims. Rather, they are Muhammadans who deserve the wrath and hatred of God in 61:3. 1- The term (maqt) comes in the Quranic text concerning the conditions of unbelievers in Hell: "Those who disbelieved will be addressed, "The loathing of God is greater than your loathing of yourselves-for you were invited to the faith, but you refused."" (40:10). Such criminal unbelievers will hate themselves in Hell and will be told that God's hatred of them exceeds their hatred of themselves. They will be reminded that in their earthly lives, they were invited and called to believe in one God, Allah, and the only discourse in Islam, the Quran, but they have refused to pay heed to this call and argued against the Quran until they died. The Hell dwellers will argue in Hell in this manner: "They will say, "Our Lord, you made us die twice, and twice you gave us life. Now we acknowledge our sins. Is there any way out?" That is because when God alone was called upon, you disbelieved; but when others were associated with Him, you believed. Judgment rests with God the Sublime, the Majestic." (40:11-12). Such verses apply clearly to the Muhammadans, especially in their arguing against the Quran. When Quranists tell the Muhammadans that the testimony of Islam, taken from the Quran, is (There is no God but Allah), with no additional words at all, they refuse. They refuse the Quranist notion of not preferring Muhammad to other prophets; they are all in the same stature to us; see the last verses of Chapter II. The Muhammadans refuse to believe in God unless when they associate mortal gods alongside with God, such as Al-Bokhary, Al-Hussein, etc. they refuse to accept the Quran as the only discourse in Islam and Allah the only God in Islam. Their case is similar to the Qorayish tribe: "When God alone is mentioned, the hearts of those who do not believe in the Hereafter shrink with resentment. But when those other than Him are mentioned, they become filled with joy." (39:45). "And We drape veils over their hearts, preventing them from understanding it, and heaviness in their ears. And when you mention your Lord alone in the Quran, they turn their backs in aversion." (17:46). It is clearly that such verses apply to Muhammadans as well. Quranists who preach Friday sermons have stopped criticizing Sunnite hadiths to avoid the ire of the mob. When such Quranist preachers make their sermons confined to Quranic verses, the Muhammadans adamantly refuse and insist that the sermons must include hadiths. In the Sunnite sermons, when the Muhammadans hear the name of God, Allah, mentioned to them, they remain silent and indifferent. They are supposed to glorify His Holy Name once mentioned to them. This is an act of worship forgotten and ignored by them mostly. Instead, they glorify the name of Prophet Muhammad with reverence once it is mentioned in the sermon! Hence, this verse applies to them: "That is because when God alone was called upon, you disbelieved; but when others were associated with Him, you believed. Judgment rests with God the Sublime, the Majestic." (40:12). Those who will die as Muhammadans, not true Muslims, will hate themselves in Hell and God's hatred (maqt) toward them will be greater than their hatred of themselves. "Those who disbelieved will be addressed, "The loathing of God is greater than your loathing of yourselves-for you were invited to the faith, but you refused."" (40:10). We, Quranist, are still calling them to true faith but they refuse!